Custom lanyards come in many different flavours and the best one to go for will depend on your logo (or what you would like to have printed on them). 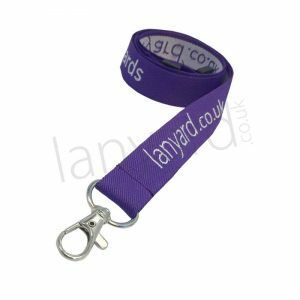 The team at Lanyards UK have been specialising in custom lanyards as well as stock plain and pre-printed lanyards and ID cardholders for more than a decade. If your logo has several colours or has gradients within your colours such as shading, bevelling or colour merging then you will need a full colour printed lanyard. These lanyards are printed using full colour dye sublimation. Your lanyard design is first printed onto special sublimation paper and then the colour is transferred via a heat press directly onto the lanyard material. This technique allows up to photo-quality printing. Lanyards are produced in luxury, smooth polyester and supplied with a quality, metal trigger clip and safety break as standard. If your logo is made of solid colours (1 – 4 solid colours) then you could go for a screen printed lanyard. These lanyards are produced on standard flat-ribbed polyester. We carry a wide range of stock colours but we can also dye the material to match your corporate Pantone reference free of charge (Solid, Coated Pantones) if you’re ordering 100 or more. If you’re not sure that your logo can be converted to solid colours, email it over to us and we’ll take a look for you. These lanyards are supplied with metal trigger clip and safety break as standard. For simpler designs (simple logos and/or just text), you may prefer to opt for a woven lanyard. Your logo and design is embroidered on to the lanyard material in up to 2 colours. These lanyards have a heavier-duty feel than standard polyester lanyards and are supplied with the same high-quality trigger clips and centrally-positioned safety breaks as standard. 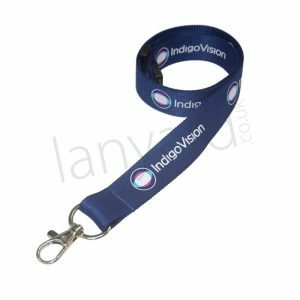 If your logo is a bit more complicated or you need more than 2 colours, you may decide to opt for the Embroidered Lanyard. These are produced using a higher grade of material that allows for a much finer weave, meaning that you can have more than 2 colours as required. You can further customise your lanyards with different clip styles. There are several standard clip styles which won’t cost any extra and some premium clips are available at a small additional cost. The team at Lanyards UK have been supplying plain, pre-printed and custom lanyards for more than a decade to organisations ranging from small start ups to multinationals, schools, colleges, universities local and national government organisations and many more. If you would like to find out more, visit us over at Lanyard.co.uk.